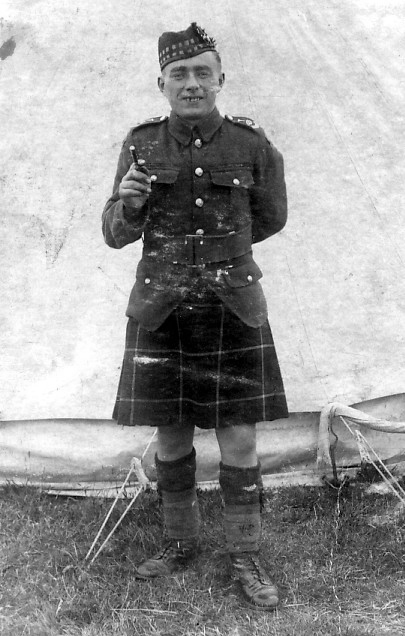 My father Willie Geddes at Territorial Army camp in Tain, 1928. I never saw my Dad in a kilt, he appears to be wearing a mini version in this pic! Don't see any stripes in this one Billy, but he appears to have some pips on his epaulettes. He would have been 19 in this photo Harry. Plenty time to make it up to General!